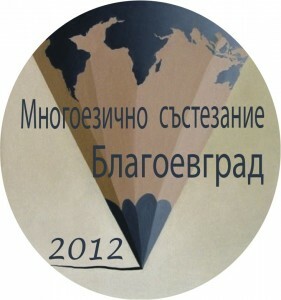 From 16-17 November 2012, the 7th National Multilingual Competition was held in Blagoevgrad, Bulgaria. The event brought together 136 students from all over Bulgaria. The students visited the Panitza university library at the American University in Blagoevgrad, which is the largest English-language library in Southeast Europe. At the welcome concert, held in the Nikola Vaptsarov Drama Theatre, students from Blagoevgrad schools performed in a variety of languages. They sang songs in French, English, Russian and Korean, with guitar and piano accompaniment, skillfully led by music teachers – true professionals! Even the music teacher from the High School of Natural Sciences and Mathematics (Blagoevgrad), Velizar Balevski was there at the concert, playing the piano and other musical instruments and supporting his students, although the next day was going to be his wedding day! The students also performed scenes from Shakespeare’s Macbeth and La Fontaine’s fables. The concert was truly amazing, also thanks to the emblematic Pirin ensemble (Blagoevgrad), which performed the dances “Bagpipe” and “Logodazhkoto” and closed the concert with the famous song “Zasvirete Muri”.